Modern HVAC (Heating, Ventilation and Air Conditioning) Systems are useful for maintaining a set temperature, but they can be much more energy efficient when adjusted with seasonal dampers and paired with a whole-house humidifier system. Most modern homes are assumed to include HVAC (Heating, Ventilation and Air Conditioning) systems in their construction, but is this the best way to heat or cool your home? Homeowners are asking themselves the same question as they examine their energy usage each month, and some have found an alternative. By taking the time to change the airflow in your house and to maintain the humidity with a humidifier, you can create a comfortable atmosphere in your house year round, despite the changing climate outdoors. Aprilaire humidifiers are well known for producing quality products for your home. The company is devoted to improving air quality for the energy-efficiency, health and protection of your home. Most humidifiers come with a Humidistat and Humidity Display, for any changes your house may need, but Aprilaire also includes Repair and Maintenance Indicators on many of their models to alert the homeowner to any possible problems. Aprilaire also has a variety of styles and sizes of humidifiers to fit the needs of your family and your home. You may not be an HVAC technician, but that doesn’t mean you can’t personalize your home’s airflow to optimize temperature retention and energy usage. 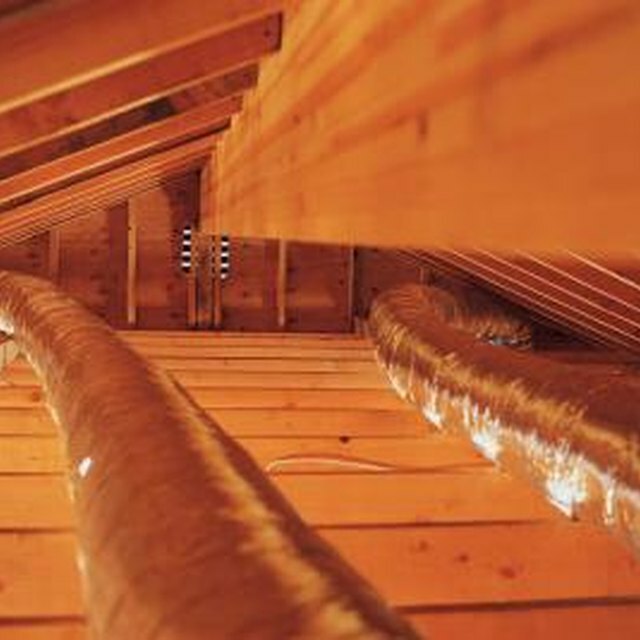 A damper is a switch in the HVAC system that can direct air in or out of certain sections of the ducting. If you have manual dampers in your house, take the time to find them. These can be adjusted seasonally as follows:. Closing the seasonal dampers may make your house more comfortable and energy efficient, but often it is not enough. Dry air is a common issue in many homes because a thermostat only works to adjust the temperature of a house, not the humidity. If the humidity of your house is too low, it can impact your health, your home and your energy bill. When the air is too dry, your body has to overcompensate with oil or mucus production to properly lubricate different areas, like your skin, nose or throat. Asthma, colds and allergies can all be negatively impacted by an uncontrolled amount of humidity. It can equally damage the wood in your house since wood is porous and needs moisture in the air to prevent cracking. If humidity levels are left to their own devices, your thermostat can be set to one temperature but your house will feel drastically different depending on the environment outside. This will inevitably increase your energy usage and your bill unless you are proactive and purchase a humidifier. While personal units offer the convenience of mobility, whole-house units are easy for any homeowner to use. They work with the ducts and pipes already installed throughout the house to maintain a steady humidity level, and they don’t cost much more than a quality personal model. Best of all, once the whole-house system is installed and set, it doesn’t need to be adjusted seasonally. The system will update itself automatically to an optimal humidity level throughout the changing seasons. Before investing in a whole-house humidifier, take the time to review the floorplan, ductwork and needs of your house. Consult an HVAC technician with any questions or concerns you may have and have a professional install the humidifier if you’ve never done it before. Be sure to find and adjust any dampers as needed before installing a humidifier, so that the humidistat is accurately set the first time, and can be adjusted as needed. Does It Really Help to Close My Vents in the Basement to Force Warm Air to the Main Level? Does a Window Have to Be Open When Running a Swamp Cooler?